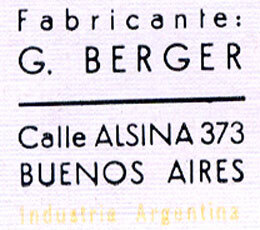 G. Berger, Alsina 373, Buenos Aires c.1935-c.1950, manufacturer of playing cards. Little is known about this manufacturer. 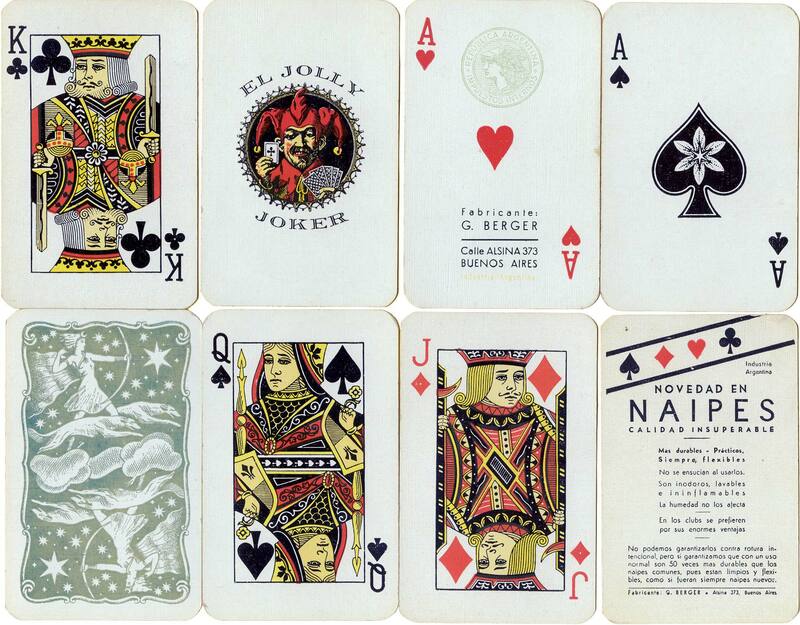 The cards shown on this page date from the 1940s or early 50s. 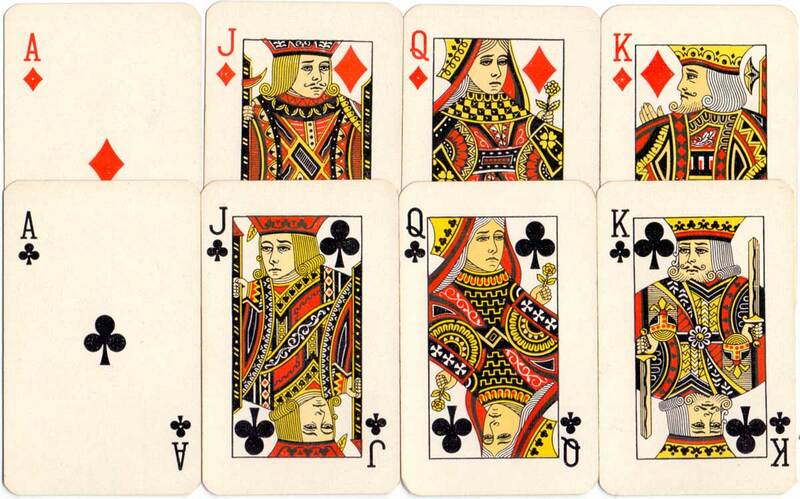 The green 'Mercury' tax stamp is found on the ace of hearts. 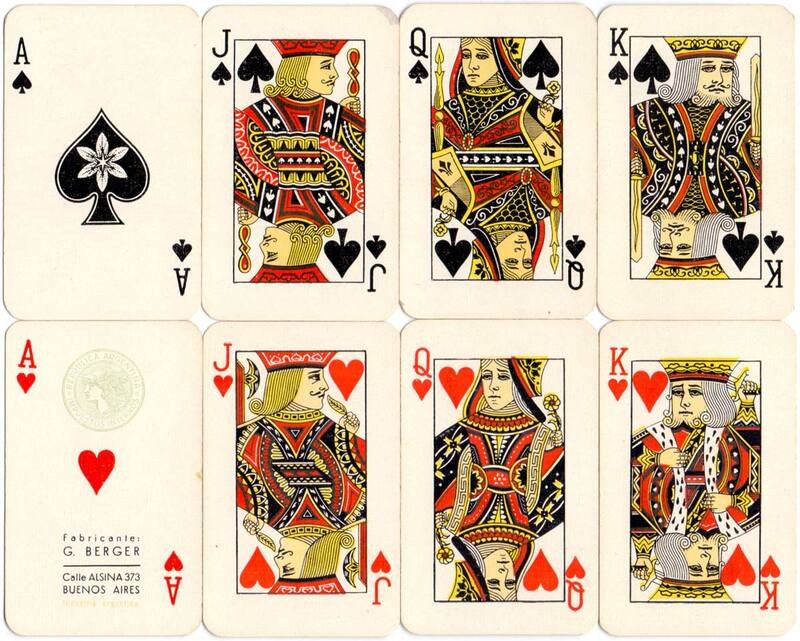 The design on the ace of spades resembles that used by Igor Domicelj and then by Vigor S.R.L. during the 1950s and later. 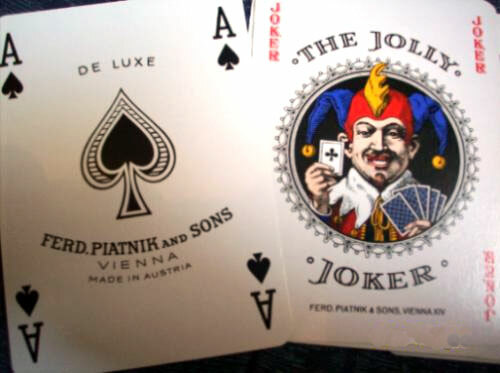 The Jolly Joker appears to be based on a design used by Piatnik. 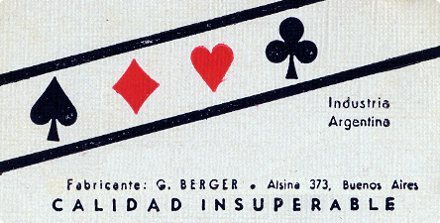 Berger also produced a Hungarian-type "Seasons" pack with the brand name "La Estrella" and a six-pointed star logo, which was subsequently used by Domicelj and Vigor, suggesting some sort of business succession.